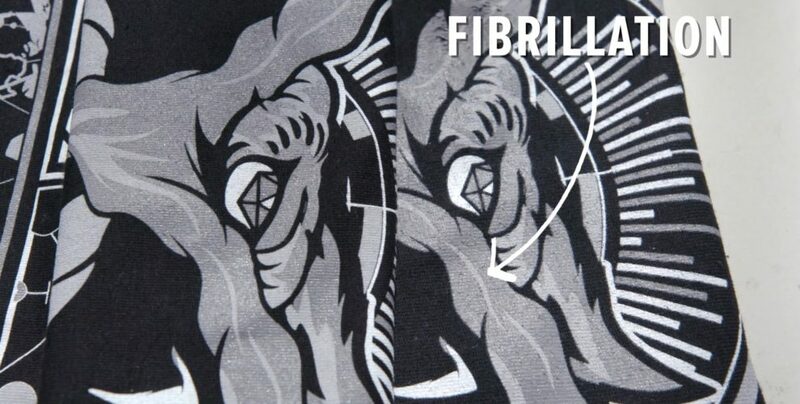 Fibrillation is when the fibers of the garment show through a print, or ink deposit, giving the fabric a faded or hairy-like look. This typically happens on blended materials, however, this can also happen on 100% cotton. Typically you’ll see fibrillation that occurs from the underlay, or when the first white screen of ink is pressed onto the garment. If the first layer creates fibrillation, then each layer after will continue to have the same effect. 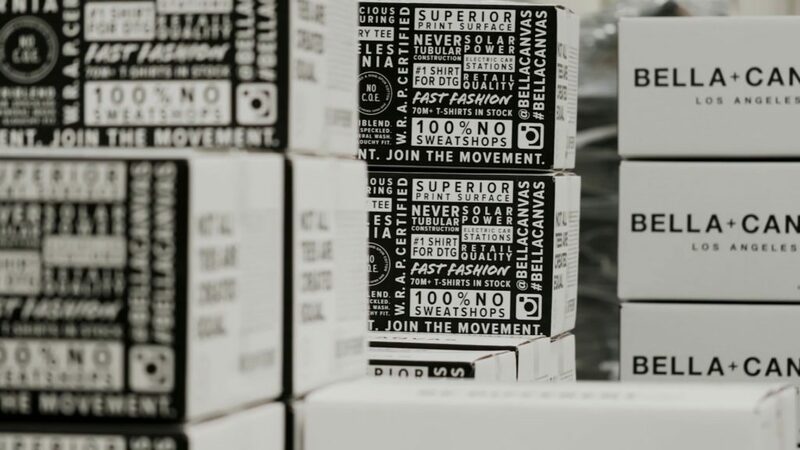 Bella canvas has 30 singles, a tighter weave to the fabric, and allows a higher quality print which is better than an economical promotional t-shirt brand. 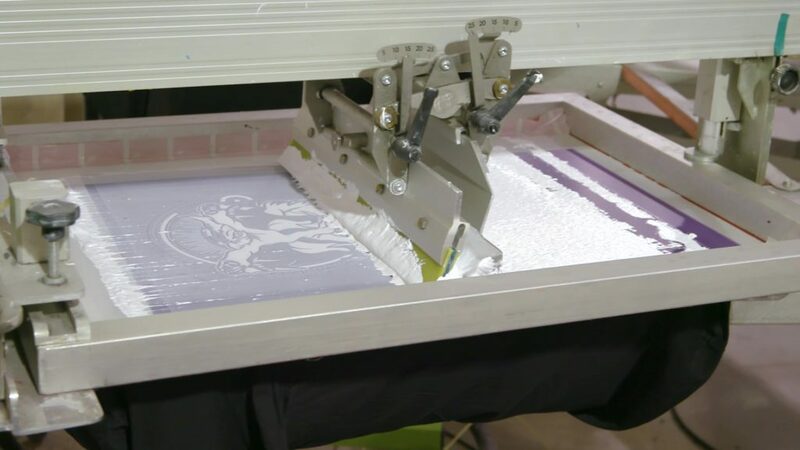 A tight weave allows for a better foundation for printing than a carded-open-end shirt which will allow more fibers to stick up as you decorate resulting in a subpar quality. 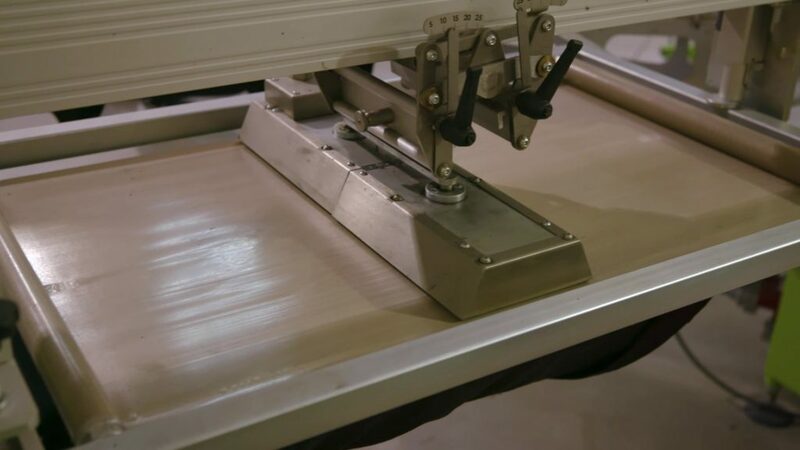 We can eliminate fibrillation in the production process by having a really tight screen, measuring the Newtons on your screens, and using an iron or a roller squeegee. You can do this by having proper off contact, allowing the ink to fully transfer from the screen down to the shirt and not having the screen pull the ink back up. When the screen is loose on press, the mesh will touch or “kiss” the garment as it pulls back up bringing fibers up with it. 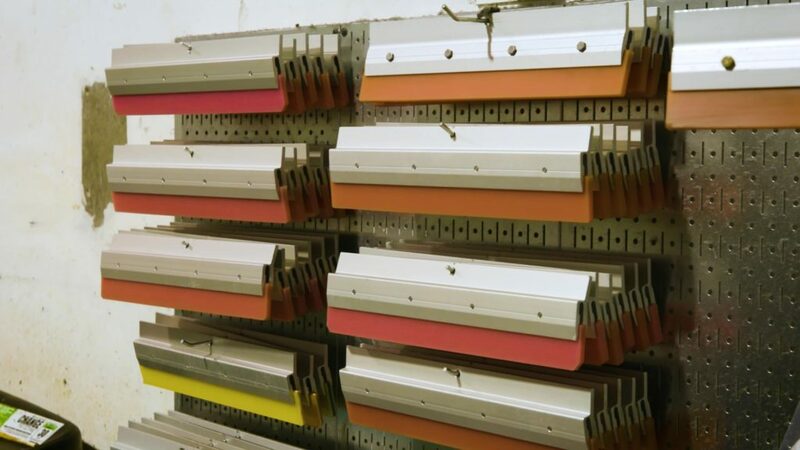 Another way to avoid the fibers from sticking up is to change-out your squeegee using a different durometer that’s softer or harder depending on the adjustment needed. A softer squeegee and changing the angle of the squeegee will allow more ink to pass down onto the garment. A heated iron is almost like a heat press you’d run during production. When working on fleece or other types of items similar, you can’t use a roller so a heated iron will be your best bet for pressing the fibers down in the garment. Have questions about how BELLA+CANVAS quality helps prevent fibers from sticking out through the print? Comment below so we can chat! Looking for more BELLA+CANVAS info? Check out our site for more products HERE. Want to learn be about BELLA+CANVAS? Click here. Learn about preventing dye migration through these steps.